i enjoyed the progress of all of the idols. it was nice to see them all happy together. About 4 years ago this anime came into my life and changed it forever. It opened my eves to another side of shojou anime: idols. Now since i am a music kid I was blown away by the amount of music I listened to and the amount discovered by digging through the library of youtube. Finally, i recommend this to any idol fan who hasn't seen this or has heard about it. Don't let your love of Love Live or other popular idol anime skew your view on this, the characters after a bit become a bit one note and, to a point, not even there. However, this anime is a great one to add to your watch list. The Idol Masters is Fantastic! One of the first Idol shows i have watched. After going to enough conventions i got curious and decided to watch the show and it was very addicting. The songs are catchy and the plot line is VERY DEEP. If you are looking for something new to watch you should defiantly watch this show. I began watching The Idol Master without very high expectations but it dove below and under them and sunk it with torpedos.This cash-grab video game adaptation has no plot and a vapid caste of characters that they make sure to introduce right away, so you care about them even less. I have nothing against idol anime but this was too poorly written to take seriously on any level. As far as the story is concerned there is none. It gives 2 or 3 idolscharacters the spot light every episode without making anything that can be called a coherent plot. Regarding its episodic nature, it has no uniformity. 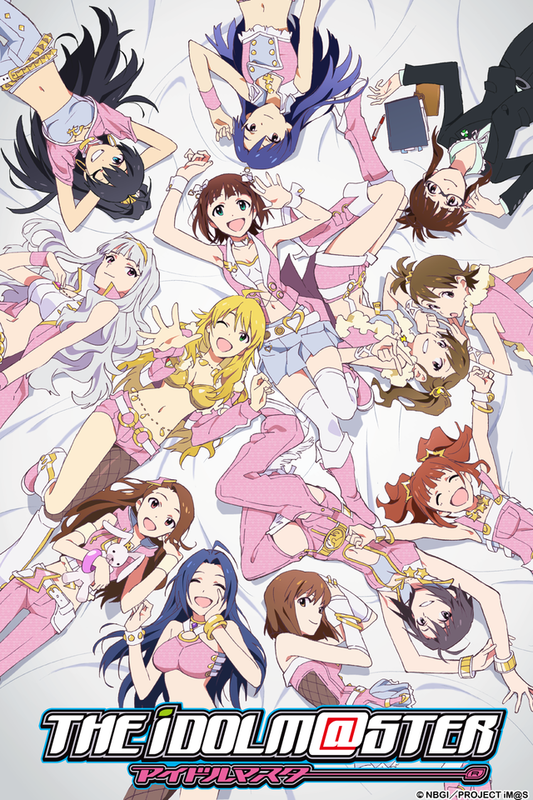 The girls of this anime can possibly do any random thing you can think of every episode. They can be comedic or serious, or about starting a riot or going to the beach. The writers try to make some episode meaningful but almost all of them just come of as shallow because none of it goes anywhere. This anime's story is equivalent to Johnny Test . As for the character, they are just stereotypes. There is nothing inherently wrong with that in this anime because they still have some form of personality, but their characterization is done too terrible for them to be cared about. Its like the writer took a pick that had whatever idols identity carved on it (ex. Tomboy, Rich Girl, Androphobic) and hammered it into your skull. Idol shows aren't know for being subtle but in this case it is ridiculous. I can't even recommend this to people who like idol anime. The music and animation range from good to great but they are rendered unenjoyable due to the poor writing.